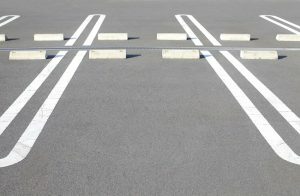 Take note of these basic methods of improving parking lot security. Parking lot security is key for everyone involved: clients, business-partners, visitors, employees, and security personnel as well. Depending on the nature of your industry and the layout of your facility, keeping your parking lot secure can be paramount to securing the building itself. Parking lot crimes can vary from property damage to violent attacks but in either case, it’s important to do whatever is in your power to create a safe parking structure. Here are five tips for improving parking lot security and creating a safer atmosphere for everyone. Keeping an area well-lit is an easy way to discourage intruders. If it’s easier for them to be detected, they’re less likely to try anything in the first place. If you do invest in lighting for your parking lot, be sure that the area is regularly patrolled and checked on and any burnt out lights are documented and replaced. Taking a tour of the parking lot is an easy way to tell whether or not lighting is adequate. Sometimes, simply letting a potential perpetrator know that you’ve invested in security is a good way of preventing crime. For instance, signs that signify there are security personnel, CCTV cameras, or other security measures in place could keep someone from trespassing. Parking lot security can benefit from a number of technologies out there, ranging from simple CCTV systems to more advanced intelligent optical systems like our Intelligent Vehicle Occupant Detector. Another useful technology to include: emergency phones so anyone can quickly contact local police in the event of an emergency. These elements of physical design go hand-in-hand. On one hand, a fence can be a fantastic means of preventing access to your parking lot to anyone who shouldn’t be accessing it. Landscaping elements, like large bushes, can be used as physical barriers as well, but you want to be careful not to create any easily accessible hiding spots. It’s a tried and true method but having trained personnel who are reliable is always a huge benefit. Important skills include knowing to open doors, being sources of information, making eye contact, and knowing how to properly secure the area. This can lend to the overall atmosphere of the parking lot feeling much more secure. This entry was posted on Friday, August 3rd, 2018 at 10:03 am. Both comments and pings are currently closed.